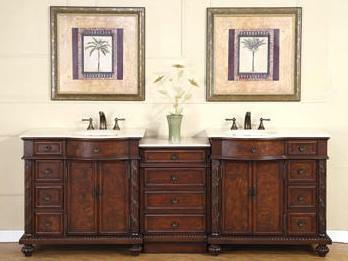 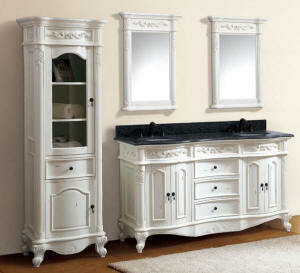 This stunning 60" wide by 18" deep Alina Double Sink Vanity ships as a complete set with two (2) matching Wall Mirrors each measuring 19 3/4" x 31 1/2". 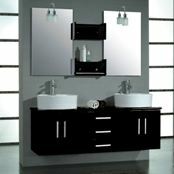 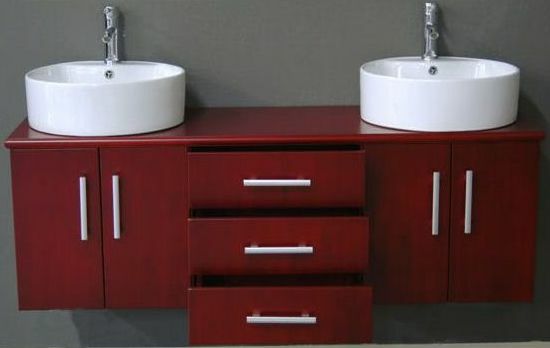 Great value: bathroom furniture includes two (2) matching set finish wall mounted shelves for extra organized bath storage space. 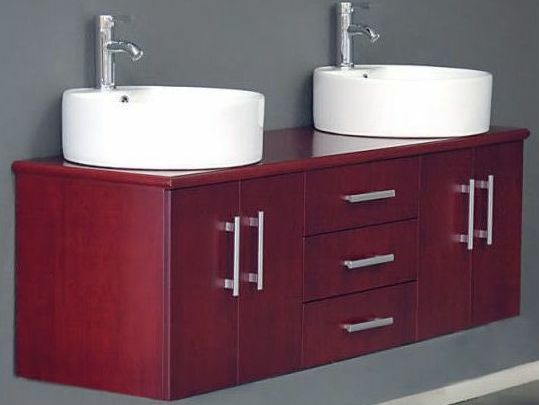 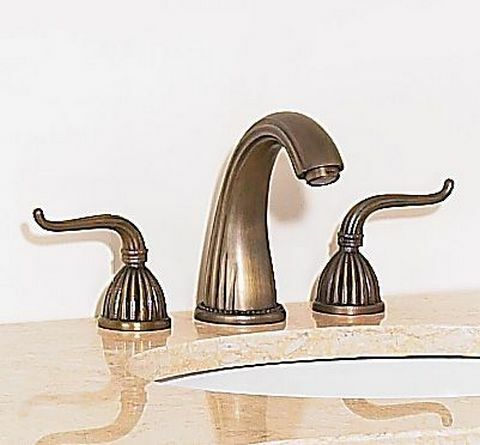 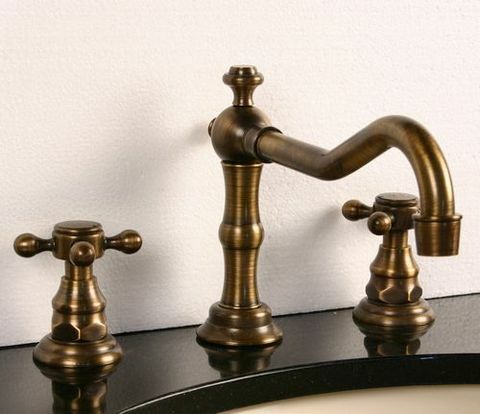 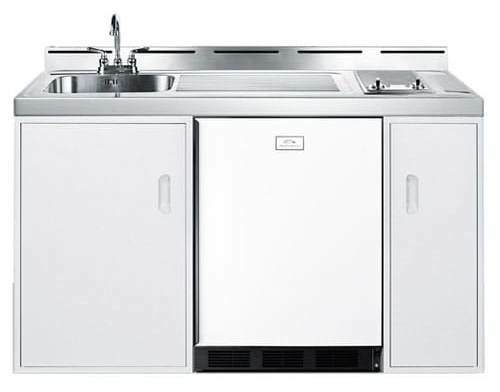 The 60 Inch Alina ships complete with two (2) generous sized, 18inch wide by 6 inch deep, very attractive round porcelain vessel sinks plus two (2) Single Stem monoblock Polished Chrome plated faucets and matching polished chrome drain assemblies. 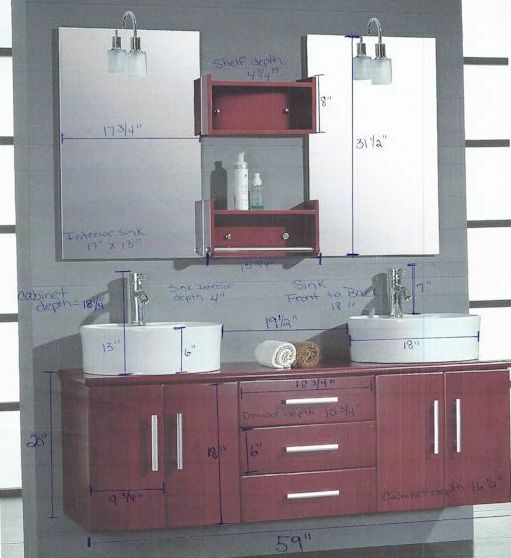 Lots of space with 4-door compartment, shelves and center drawers. 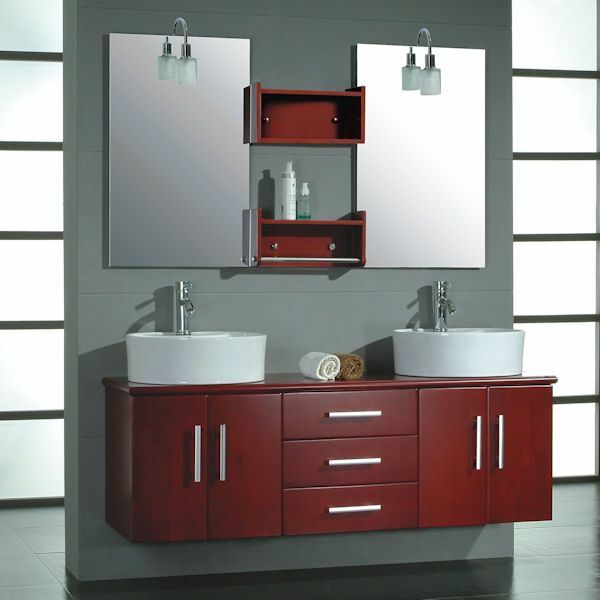 All door hardware in polished chrome finish is also included. 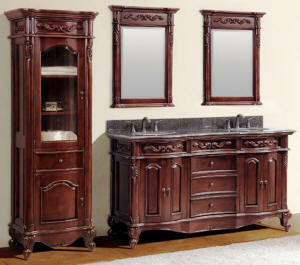 Overall Dimensions W= 60" D= 18" H= 36"
Available also in a Darker Wood Finish, shown below. 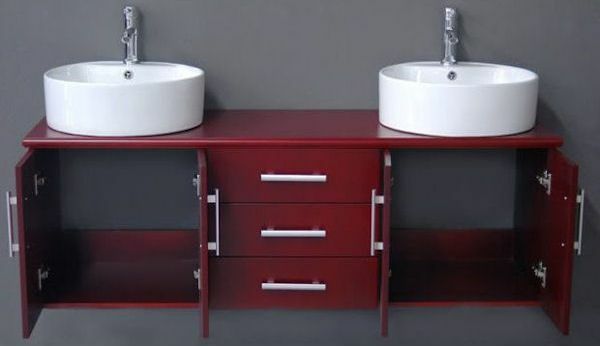 All vanities sold Brand New in Factory Box. 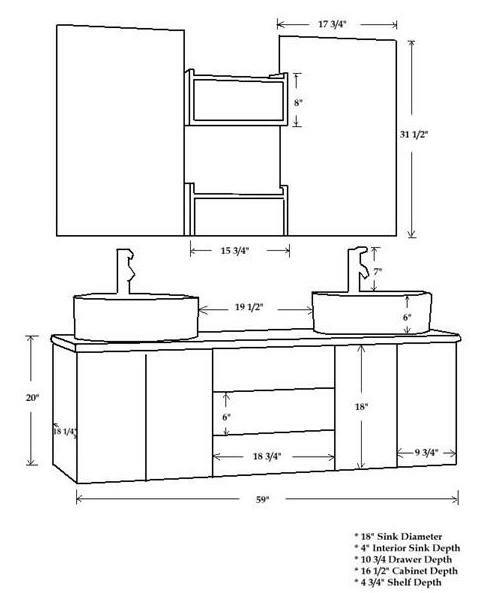 Shown with light fixtures, ships without light fixtures.